RefectoCil’s Head Trainer Marina Sulzer shares with us her top tips for custom colour brows. 1. What is so unique about the RefectoCil tint? 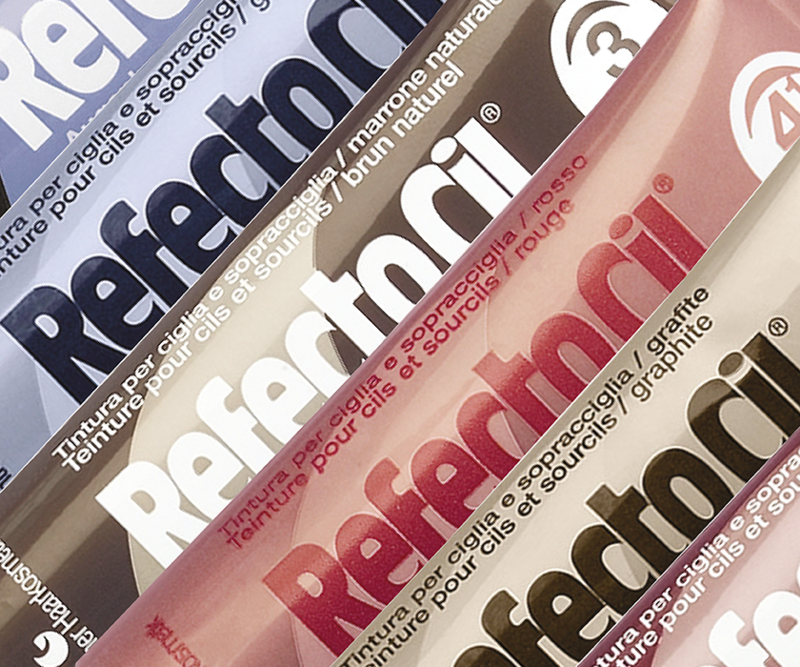 RefectoCil is the only brand that has a unique range of 8 different shades plus a bleaching paste for custom tinting for each client. For eyebrow stylists who want to offer outstanding service, Refectocil creates the perfect look 24 hours a day! 2. How should I custom colour brows? Brows should always fit to your clients hair colour, however, they don’t have to be exactly the same! For example, for clients with lighter hair shades, brows should be one shade darker to create a frame for the face whereas for clients with very dark hair, brows can be adjusted to this colour or can even be a little bit lighter. 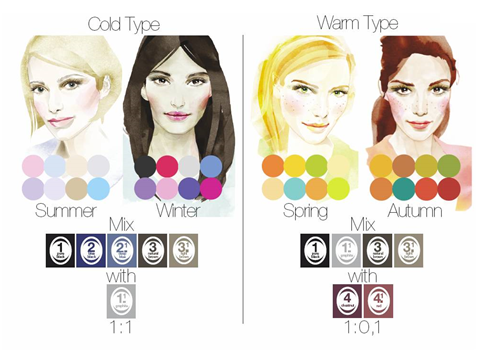 Brow colour can be customised using Refectocil depending on what look your client is after. Dark hair and dark brows can create a very dominant look, whilst lighter brows will soften the face contours. 3. Why is it so important to custom colour brows? It’s all about creating the total look, and wanting your clients to look beautiful from head to toe. Emphasized and custom coloured brows create a harmonious and trendy overall impression. 4. What are your top tips for custom coloured brows? To make the best possible match, you can adjust the colour to your customers skin type. Separate your clients into warm and cool colour types. For cool colour types mix some RefectoCil no. 1.1 graphite together with the RefectoCil tint you are using, adhering to a 1:1 ratio. This will produce cool, slightly ashy undertones, which will emphasise your clients’ colour type even more. To create warm undertones for spring and autumn types, mix a tiny bit of RefectoCil no. 4.1 red in with the RefectoCil eyebrow and eyelash tint you are using. 5. 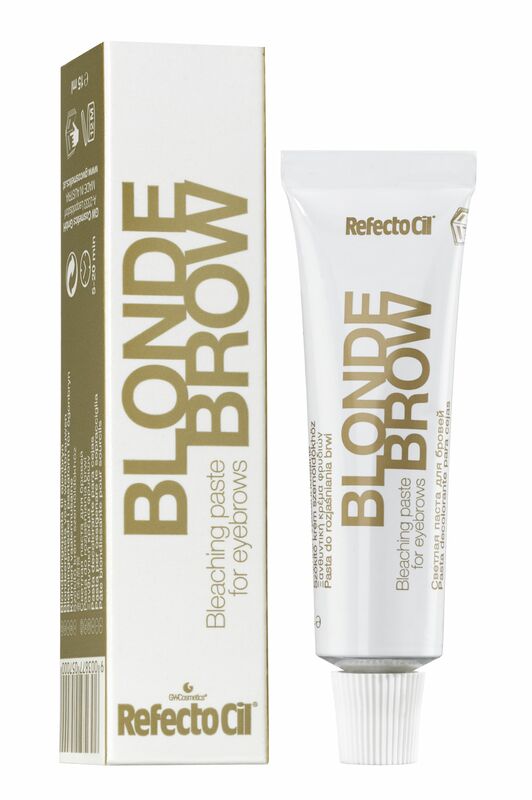 What is RefectoCil Blonde Brow? RefectoCil Blonde Brow is a unique bleaching paste for brows, suited for the sensitive eye area, allowing lightening for up to three shades. The usage is absolutely safe if you adhere to the maximum application time of 20 minutes. The formula is especially developed for brows and shows much less redness then the usage of traditional bleaching pastes. Available to buy here! 6. When should I use the bleaching paste? RefectoCil Blonde Brow has 3 main application areas. Brows can now be adjusted for customers who lighten and highlight their hair. The natural eyebrow colour is often too dark for the desired effect. Imagine a customer with light brown hair and naturally black eyebrows. With Blonde Brow they can be lightened first and then tinted with RefectoCil Light brown to make a perfect match between hair and face. You can make grey, white and bristly eyebrows take on colour again. These kind of eyebrows are often not able to take on colour-pigments any more but by bleaching this is made possible again. 7. Is there a training course for RefectoCil custom colour? Yes, you can learn about RefectoCil custom colour on Salon System’s Brow Sculpt, Colour and Correct training course. Shop the RefectoCil range online today at Salons Direct. I have black eyebrow, I will have hair in cold blond, which color or color mix I should buy?